A melancholic ache sits deep in the soul of Armenians worldwide as, even today, the genocide of 1915 goes unacknowledged, and those responsible for it remain unrepentant. However, this past year has been a small beam of hope with the release of The Promise, The Women of 1915 and, most recently, Intent to Destroy. The devastating injustices the Armenians have faced, and continue to face, are an ongoing, cyclical, and shameful slap to the remaining survivors. These men and women have been silent for decades, partly out of fear of the Turkish government (which goes to great lengths to cover up the genocide) and out of pain. Even 100 years later, Armenians still feel the very fear of their ancestors, and with good reason. As an Armenian, I’ve always felt a certain pride in my cultural heritage, which has been distilled in me by my grandparents since birth. I’ve always felt an equal amount of sorrow when hearing stories of my family, or fellow Armenians and their families. It’s difficult to believe that after over one hundred years there has still been no acknowledgement, apology, or justice for the 1.5 million Armenians that were slaughtered, or their surviving families. 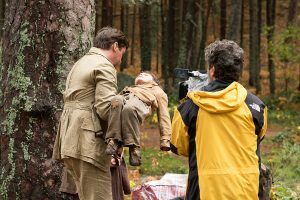 Filmmaker Joe Berlinger is working to fight said injustices through his documentary Intent to Destroy, which takes us behind the scenes of the filming of The Promise and interviews various historians and experts. In addition to footage and interviews of the cast and crew, Berlinger explores one of the most devastating cover-ups in history: the eradication of the Armenian people under the guise of war. During this time, the Armenians were tortured, raped, and sent on death marches into the desert. Then, all of their libraries were burnt to the ground, and their churches destroyed. 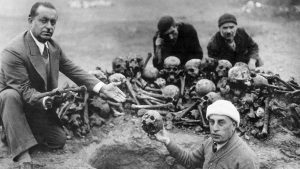 Even today, the Turkish government not only refuses but forbids the use of the word “genocide” to be used in order to describe what happened to the Armenian people. One such interview reveals that the Turkish government doesn’t want to dilute the seriousness of the word genocide with what happened to the Armenians. If you can believe it, Berlinger’s film shows interviews with Turkish officials for good measure. They discuss all the ways that the genocide was an “exaggeration” and claim that the Turkish suffered the same number of casualties –despite vast evidence proving otherwise. Berlinger also explores the various threats that filmmakers have received while attempting to make Armenian-central stories. Intent to Destroy takes us through the historical evidence —which is scarce since it was illegal to photograph any of the horrendous actions taken against Armenians— and relies on historians, photographs, and survivors. 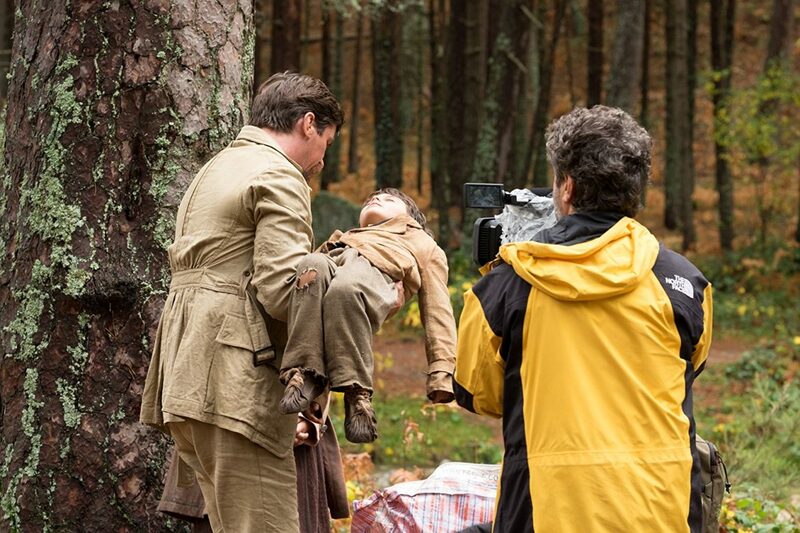 This, combined with a wonderful behind-the-scenes moments on the set of The Promise, make the film so poignant. 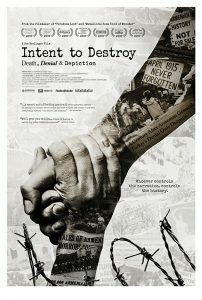 Intent to Destroy is a much-needed documentary, and Berlinger does a wonderful job of representing the Armenian people. Top Photo: poster of Intent to Destroy. Top Middle Photo: Excavating mass graves. Bottom Middle Photo: Christian Bale on set of The Promise.